A Minnesota lawmaker who lost a daughter to a heroin overdose is proposing funding to hand out the anti-overdose medication naloxone at treatment centers and needle exchanges across the state. Sen. Chris Eaton, DFL-Brooklyn Center, is also proposing a bill that would allow pharmacists to directly prescribe naloxone without a doctor's standing order. 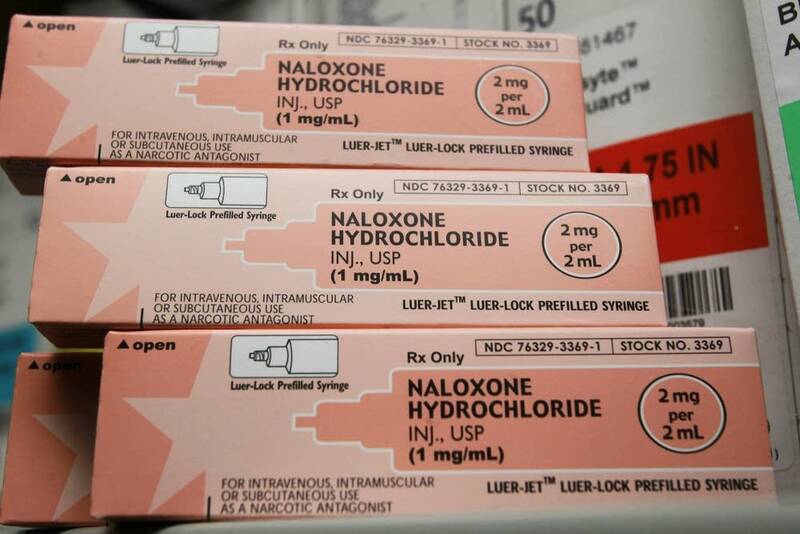 Naloxone, also known by the brand name Narcan, is an opioid antagonist that can help restart a person's respiratory system after an opioid overdose, Eaton, who is a trained nurse, told MPR host Cathy Wurzer. Opioids are the family of drugs that include prescription painkillers like Oxycodone and street drugs like heroin. "We need to start with the whole medical system and we need to quit prescribing [opioids]," Eaton said. "The risk of dependence on them is so high, people who normally wouldn't get involved in drugs or other things end up with that craving." Eaton is building on the success she had with a 2014 bill that made it possible for law enforcement and emergency responders to carry naloxone. Called Steve's Law, in memory of Steve Rummler, who died of a heroin overdose in 2011, it also gave limited criminal immunity to people who call 911 to report an overdose. "We've saved hundreds of lives, unfortunately we continue to lose more people as the epidemic continues," Eaton said. Eaton's daughter Ariel Eaton-Willson died of a heroin overdose in 2007. She told MPR News host Cathy Wurzer on Tuesday that she thinks the laws she's helped pass during her time in the Senate would have saved her daughter's life. "You never quit looking for things that you did wrong, or that you should have done, could have done," Eaton said of the pain from her daughter's death. "It never really goes away."